Bright white floral accents offer complementary contrast against the beige hue of this jute throw pillow. 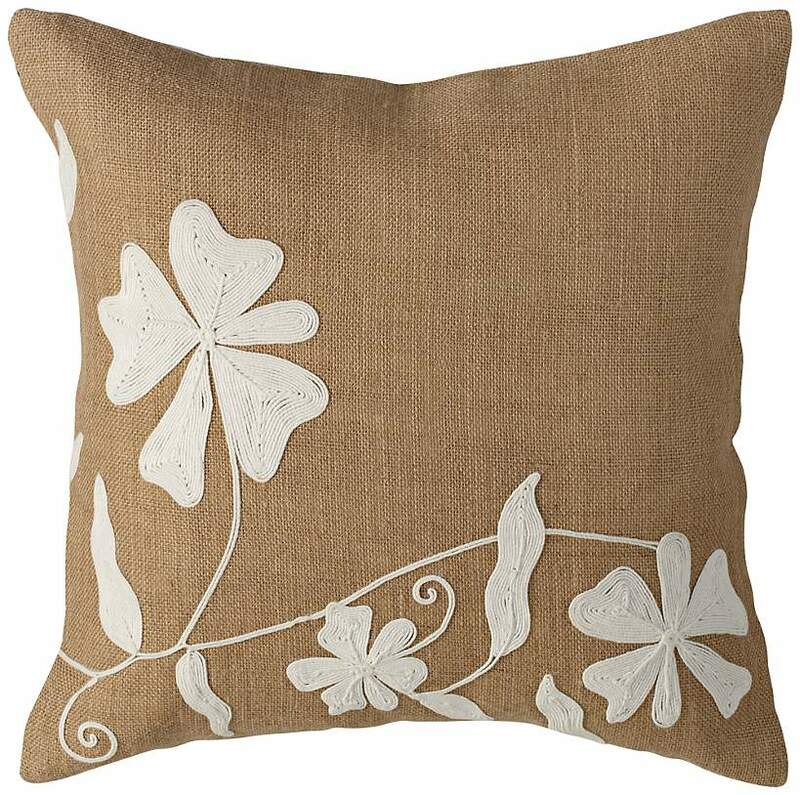 Neutral tones and casual texture make this pillow a natural fit for organic inspired décor. A bright and stylish accent pillow. This throw pillow features a classic floral pattern that conveys warmth and sophistication. From the Garden of Delight decorating collection. Your couch will look classic and high-end with this stylish accent pillow. 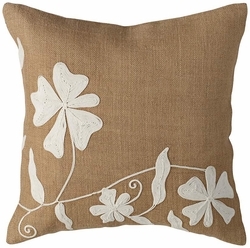 Embroidered floral accents add a soft touch to this jute throw pillow from the Dori collection. This throw pillow features a classic floral pattern that conveys warmth and sophistication. Product Summary • 100% jute fabric.